Shenzhen Betop Electronics Co., Ltd.
(1) Energy-saving and environmental friendly. (2) Long lifespan and without UV or IR radiation. 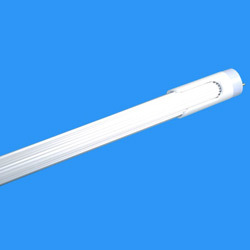 (1) Replacement tube for general lighting, especially for museums, art galleries, cosmetic counters. 1. Light source: SMD3528. 2. Luminous flux: 1450lm. 3. Color temperature: 6000K. 4. Model: BT-T8-1200DT-2B. 5. Emitting color: pure white and warm white. 6. LED quantities: 252pcs. 7. Base type: T8. 8. Operating voltage: AC110/220V. 9. Power: 15W. 10. Lifespan: 50000 hours.